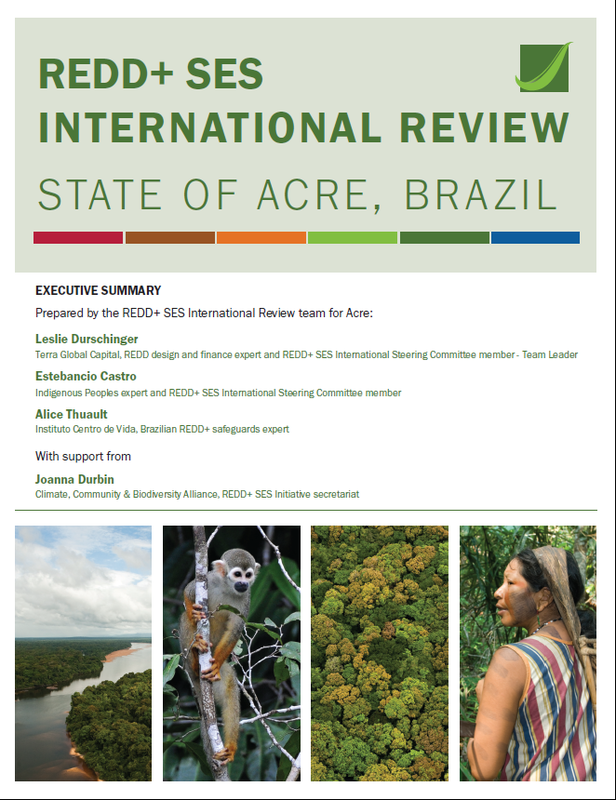 The State of Acre, Brazil, is the first country to have completed the full ten-step process of the Guidelines of the REDD+ SES Initiative. At a side event on Monday 7th December organized by the State of Acre in Brazil, Joanna Durbin of the REDD+ SES Secretariat presented Magaly Medeiros, Director President of the Institute of Climate Change of the State of Acre in Brazil with a certificate confirming that Acre is the first country to have completed the full ten-step process. The certificate was emitted based on the assessment of the REDD+ SES International Review that assesses the quality of the process followed to assess how safeguards are addressed and respected in the country in relation to governance, interpretation and assessment, i.e. the ten step REDD+ SES process defined in the REDD+ SES Guidelines Version 2 (November 2012).